With an elegant formed base in a pale blue glass, the Astora table lamp by evokes a romantic feel with its feminine silhouette. 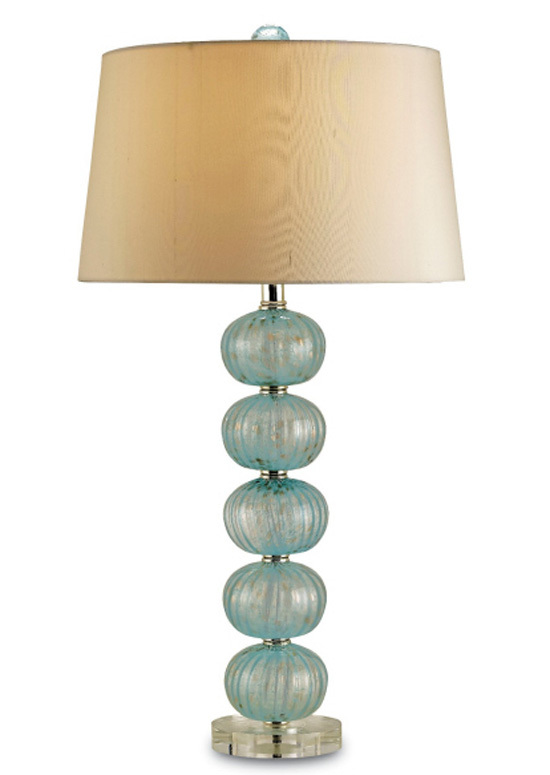 The drum shade in natural linen is completed with matching blue glass finale, adding to the lamp's romantic feel. The hand finishing process that is used on this lamp lends an air of depth and richness not achieved by less time-consuming methods. The lamp is 30h and the cream silk shade measures 14x16x9. Call for availability. Free Shipping!